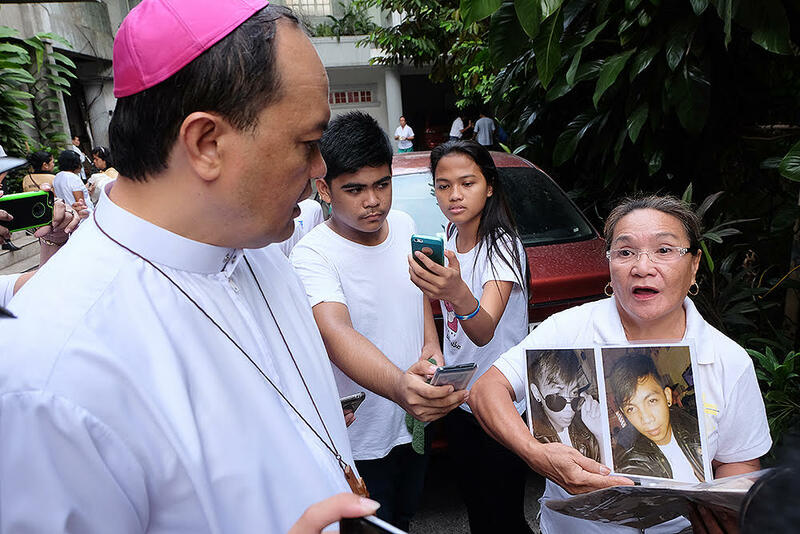 Kalookan Bishop Pablo Virgilio David listen to a woman lamenting the spate of extrajudicial killings in Navotas City, July 2, 2017. A Catholic bishop is hoping that President Rodrigo Duterte would “reconfigure” his war on the illegal drugs that has already claimed thousands of lives. 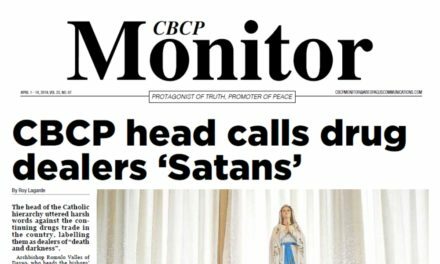 Bishop Pablo Virgilio David of Kalookan diocese said another key thing for Duterte is to learn by listening to drug experts. 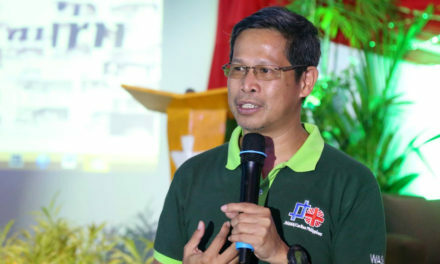 “Allow experts in various fields to take part in coming up with an in-depth study of the root causes of the illegal drug problem in the country,” he said. 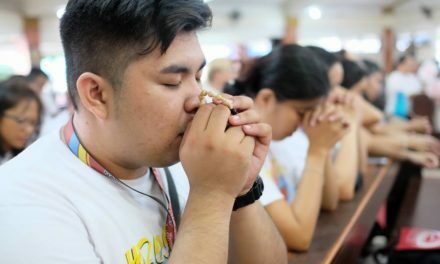 While authorities strengthen its intelligence work against drug lords and scalawags in the police, he said the government must also strongly support community-based drug rehabilitation programs. 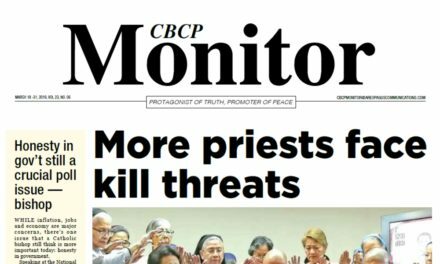 The prelate is also hoping that the Duterte administration would consider adopting adjustments in his war on drugs while also initiating an aggressive “war against poverty”. 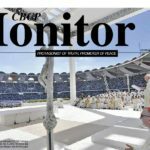 “I wish he could redirect some of his energies towards waging ‘war against poverty’, especially by decentralizing progress in the country towards the countryside,” David said. 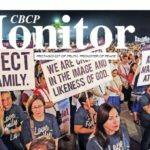 The bishop said these are among his “humble wishes” for the administration as Duterte is set to deliver his second State of the Nation Address (SONA) on July 24. 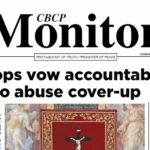 The incoming vice president of the Catholic Bishops’ Conference of the Philippines also wishes Duterte could extend a “gesture of magnanimity and reconciliation” towards some of his political rivals and critics and work for unity in the country. 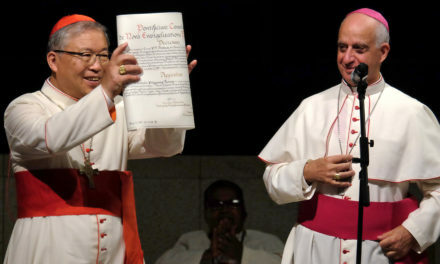 “I wish he could regard the Church and other religious groups as partners in the common endeavors for the public welfare and the common good, and the work for the environment and for the disadvantaged sectors of society,” he added. David also called on Duterte not to extend the martial law in Mindanao and instead work for peace with the Moro Islamic Liberation Front and the National Democratic Front.